I recently shot this look with Rebecca Spencer and just had to share some of the images with you guys as I think it's one of my favourite outfits yet! I'm obsessed with jumper dresses, denim jackets and thigh high boots so this outfit combines all of my favourite pieces! The whole look is from Pretty Little Thing who are completely killing it with their new in section at the moment. I'm loving the whole distressed trend at the moment so when I spotted this cream jumper dress with distressed detailing on their website, it has to be mine. I love the roll neck style and think the neutral colour works so well with the denim jacket and tan thigh highs. I think neutral tones are my absolute favourite colour to wear - they're like black, you just can't go wrong with them and they always look really chic and stylish. I'm loving the fact denim jackets have made a big comeback recently - I've built up quite the collection of them over the past few months and I can't wait for the weather to warm up so I can start wearing them more often. They look great with virtually any outfit and give any look a really cool and effortless vibe. As for these boots, well where do I start? I love them SO blooming much! I always feel super sassy when I wear thigh high boots as they're such a statement piece. However, I also think they can look really cool and edgy or classy and sophisticated, depending on how you style them. This is obviously a more casual look but they'd also look amazing with a pair of black skinny jeans, a nice blouse and tailored coat for an evening look. I really love the light tan colour too as it makes them that little bit different. To finish the look, I wore my fave Quay Australia x Desi Perkins sunnies. It might be Winter but sunglasses are still an essential accessory to make me look cooler than I really am, haha. I hope you guys like this look and are enjoying my recent style posts. I've got a couple of shoots over the next couple of weeks so if there's any particular looks you'd like to see me put together or any specific styles, please don't hesitate to let me know in the comments below or tweet me @k_leexjx any time - I always love chatting to yo guys so don't hesitate to get in touch. 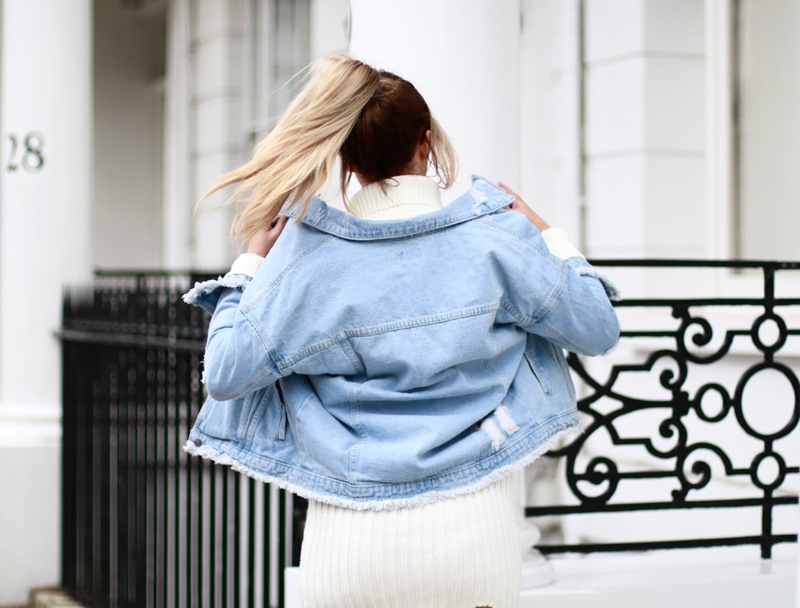 Are you a fan of denim jackets, distressed jumpers and thigh high boots?! These thigh highs are gorgeous! These photos are gorgeous! And you look absolutely killer in those boots! 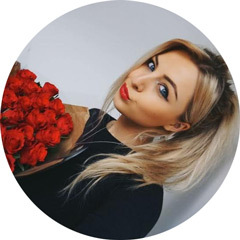 This is gorgeous and loving your style. I am loving the denim and distressed look myself but need to invest in more pieces plus some thigh high boots as you said seem so sassy and I would feel like I'm about to perform in them. It is a very brave and bright outfit. I am not into this clothes but you look good in it.